You must be sick of all those campaign fliers in your mail already. And don't forget about the political ads that infest the commercial time during your sitcoms. It's despicable. But don't worry! The boys are here to put a rest to the campaign season already, as two of them decide to debate each other! 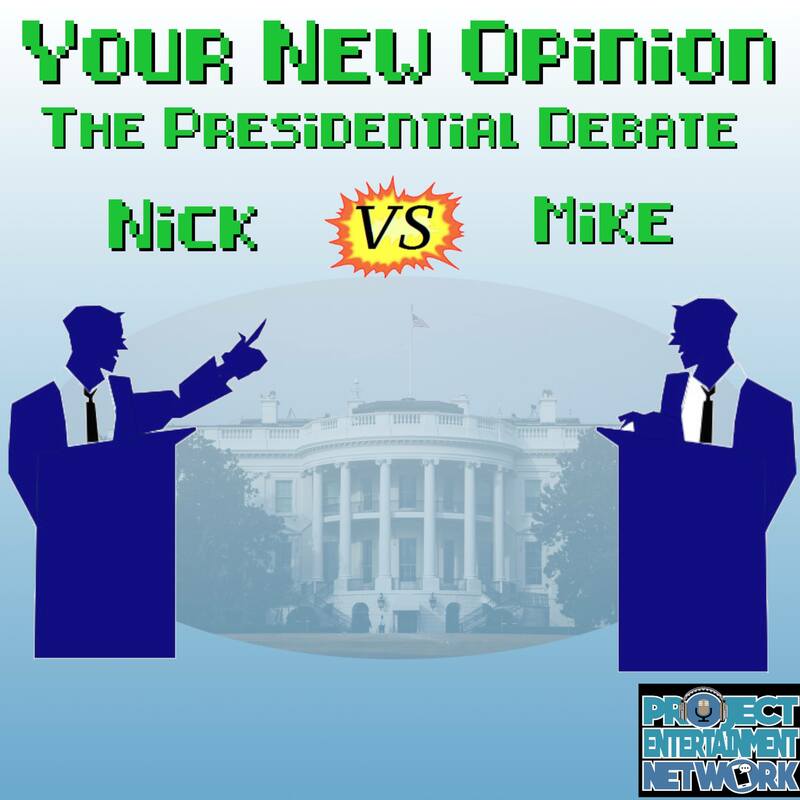 Ryan acts as moderator, constituent, and sole voter in this episode, as Mike and Nick tailor this entire episode around him. They go head to head as leaders of the Digital Party and the No Party Party. Each debater has three policies they'd like to enact AND a slogan! Topics this week include: old school Will Smith, modernizing America, George Washington's farewell address, physical currency, ISPs, eating 5 gallons of fluff on live TV, military advancement, The Scorpions, drug use, private prisons, and sending all corrupt politicians to an island. Can Ryan do a Paul McCartney impersonation? Does Mike know the Schoolhouse Rock? Is Nick the white Obama? Filibuster this: The Presidential Debate!